RETREAT (Retreating-trench, Extension, and Accretion Tectonics) is a multidisciplinary project to develop a self-consistent dynamic model of syn-convergent extension, using the northern Apennines, northern Italy, as a natural laboratory. This is a collaborative effort among Yale, University of Washington, Lehigh, Purdue, USC, and Italian and Croatian colleagues. The GPS component of RETREAT is measuring crustal deformation associated with ongoing tectonic processes in northern Italy using a combined campaign and continuous GPS network. In 2004, UNAVCO provided 14 Trimble 5700 and R7 receiver systems as well as engineering support. 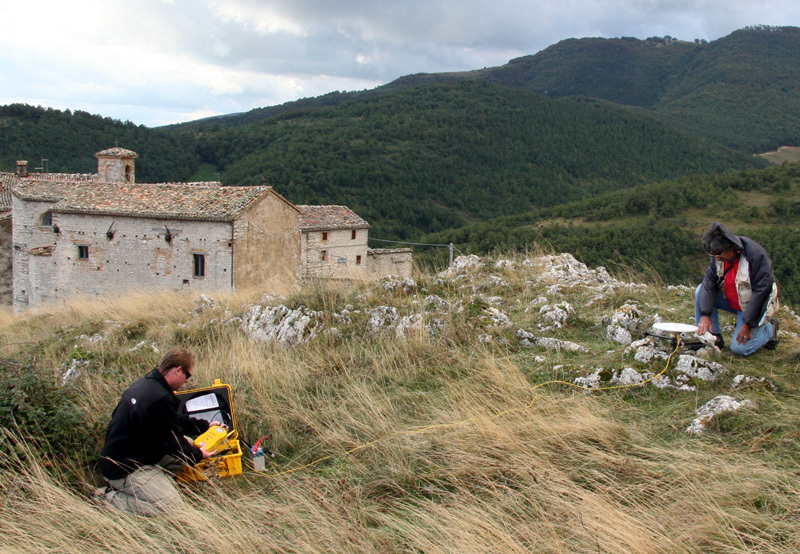 GPS measurements of new and existing sites were made throughout northern Italy. With assistance from Croatian colleagues, the first RETREAT measurements were also made on the Dalmatian islands of Vis and Hvar.